The No. 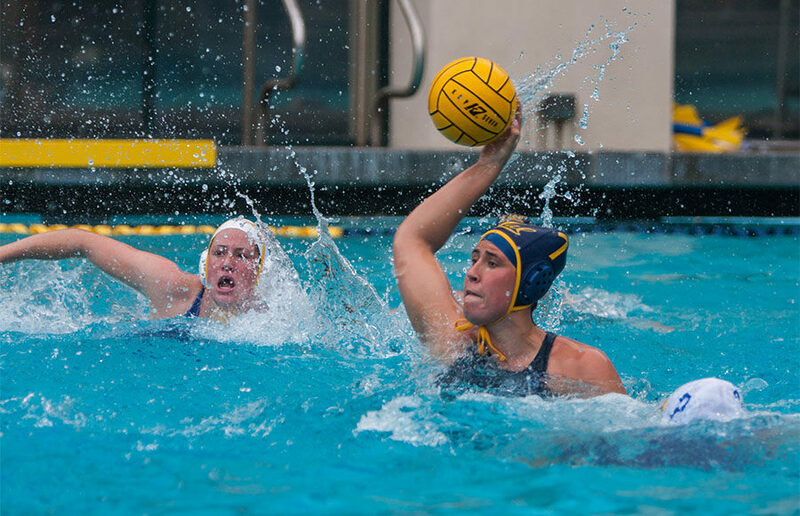 4 Cal women’s water polo team did not wait around to get its season started on the right note. After making quick work of No. 14 San Jose State and No. 12 Pacific at the LouStrong Memorial Tournament in Saratoga, California, this weekend, the Bears are now the owners of a well earned 2-0 record. The team’s quick start may be an early sign of things to come, as juniors Dora Antal, Roser Tarrago and Anna Illes made their long-awaited returns to the pool after taking the 2016 season off to train for the Rio Olympics. Both Antal and Tarrago recorded four goals apiece during the two-game affair, with Antal’s performance boosting her into eighth place on Cal’s all-time scoring list with 148 total goals. The Olympic trio, along with solid contributors to Cal’s 21-10 season last year such as junior Carla Carrega and senior Emily Loughlin, led the Bears to their season-opener win against the Spartans, 12-3. After San Jose State was able to get on the board with 6:22 left in the first, Cal came right back with an equalizer a little more than two minutes later by Tarrago. Loughlin also scored once in the period, but Spartans Donia Momen and Sierra Painter tacked on two more goals to give SJSU a 3-2 lead heading into the second period. The lead was moot, however, as that was all the offense that the Spartans would bring into the pool for the remainder of the match. Tarrago gave the Bears their first lead of the season with 5:38 remaining in the first half, and they never looked back. By the end of the match, seven Bears had found the back of the net, five of whom scored twice. The team’s performance would not have been as dominant without goalies Madison Tagg and Madeline Trabucco, who had four and seven saves during the game, respectively. Cal continued to bring the heat into its next match against Pacific, with nine players leaving the pool at the end of the day with goals. Four Bears scored more than once, with sophomore Rachael Lewin stealing the show with four goals. Antal, who scored twice in the match, gave Cal the lead on a lob in the first quarter with 5:02 left on the clock. The opening score was also her record-breaking one, marking the 148th goal in her career. The Tigers, however, managed to equalize less than a minute later on a goal by Karolina Hlavata. The teams exchanged goals three more times until Cal’s Genevieve Weed lobbed a ball to Lewin to take a 4-2 lead. Weed scored a goal herself a little less than two minutes later to end the first quarter, 5-2. The second quarter proved even stronger for the Bears, as they put up three unanswered points to enter the second half with an 8-2 lead. Tarrago and Kindred Paul both added to the lead, with Lewin scoring her second of four goals as well. Viktoria Tamas brought some life back into the Tigers’ offense with a third quarter goal with 5:31 left, only for Lewin to complete a hat trick a little over a minute later to keep the Bears’ lead at six. Pacific scored twice more in the quarter, but was quickly countered by goals from Loughlin and Lewin. Cal brought some Olympic flare to open up the fourth quarter, with Antal and Illes — who had been quiet offensively up to that point — connecting with the back of the net for back-to-back goals. Pacific managed to get one of the two back with a score, but freshman Emma Wright was able to tack the last nails onto the Tigers’ coffin, scoring her first two career goals to put Pacific away, 15-7. With a shiny 2-0 record and three Olympians who have yet to make their homecoming, the team will head back to Berkeley to take on Cal State Northridge on Jan. 27.